Checkpoint saves are often implemented with very little actual "state" being saved, which more-or-less works if the checkpoint is isolated from the action. Saving the full state can be a significant task to support arbitrary quicksave. I'm wondering when (or if) Red Candle Games will ever put Devotion back up for sale on Steam. It was getting great reviews, and Detention was really good, so I hope I still get the chance to play it. But, you know, China. I complained to the Scorn devs after having a play of the demo released at the time of the KS. Due to the checkpoint use, it led to lost progress in a few sections where a simple save load would have fixed everything. I advised the devs of this and was promptly told nope thats not what they want in the game. So I called them lazy programmers. That went down well. Their complaint about not having the time to update backers on progress backs that up. If you cant be bothered to keep backers updated then dont go to KS. Get outside funding instead (which they later did anyway). Visually the game looks great, but that was a long time ago, and we've seen barely anything new that wasnt already in the demo since. Right, adding proper save/load late -- after everything else -- is probably a lot harder than doing it early on. I personally prefer being able to save at will (which is also why I'm glad I didn't wait to implement that stuff myself), so having a slight scoff at not being able to is a bit of a knee jerk reaction of mine. Then again, not being able to always (quick-)save can, in cases, add to the experience. It depends on how much progress is being lost -- and the type of progress -- so it needs to be balanced. In a game depending on player skill I don't mind as much having to repeat a sequence, because I will most likely benefit from the extra practice later on, but if it's more about character skill, then the forced repetition feels like more of a chore. Mirror's Edge is a good example of the former; the satisfaction of doing something in a better or more efficient way was worth not being able to save at will. I admit it was frustrating at first, but after having played a while, I realized it was better that way. I've also played games with really involved tasks that was fun to figure out, but a pain to execute, and having to repeat those was not the most joyous of experiences, so having been able to save would have been most welcome. Writing good reports for the public does take time and effort (and the more involved the subject, the more time and effort will it take), but I agree, with a full(?) team around you, it shouldn't be too much to ask (although being a team come with its own challenges). As a one-man dev I can understand it not happening, but, of course, public funding does come with extra obligations and spending one day each month on public updates isn't that much. It might not even have to be every month so long as it's somewhat regular. I can imagine them being all about finishing the game -- which is good -- but, as you said, they are probably lacking that someone with enough of a full grasp of the game to be able to collect and summarize what's needed for a public update. Maybe they feel that now that they have private funding, the public updates aren't as important!? If I'm being too apologetic about it, it's because I struggle myself with switching between the public role and the "dev hermit in cave" role (no history of public funding yet, though, but I still need to be -- or will eventually need to be -- more public about what I do). ...and, haha, calling them lazy programmers was probably not the most diplomatic thing you could have done -- and might even only have strengthened them in their will not to implement manual save. And I've backed a fair few KS projects by this point. Many which had only 4-10 people working on them, and they managed monthly updates fine. Scorn from memory is around that mark employees wise, possibly more after the publisher came on board. Borderlands 1 GOTY (the remaster) out now on Steam. It's been delivered as a patch to the vanilla game. Borderlands 2 and Pre-Sequel 4K assets DLCs out as well. 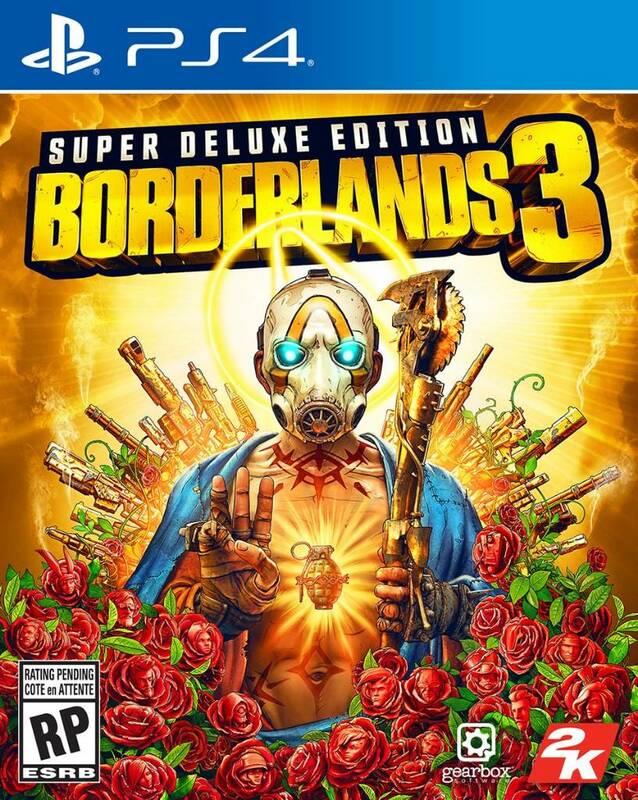 Borderlands 3 is exclusive to Epic for ONLY SIX MONTHS!!! As far as I can tell, Tangiers is still in development. The updates are done mostly on Twitter and the last mention was a month ago. Last update via kickstarter was in August 2018. They also co-released Paratopic, so they are definitely still active. Thanks for the update. Let's hope the game gets released some day. Any game that mentions Throbbing Gristle is worth checking out. Icemann, thanks for the update on Scorn. It caught my eye because it looked good. I have no expectations for the gameplay. I also don't like checkpoints. But I understand that checkpoints might be a lot of extra work. The developers need to make sure they store all "state" in the savefile. That might be more work that we realize. And it'll be easy to forget something (= users complaining about bugs). At this point, I hope they just finish and release the game. EvaUnit02, I knew that Pathologic is a remake. As I wrote, I played the first one. Only half-way through, then I completely lost track of what I was doing and what was happening in the world. The translations were a big part of that, of course. And supposedly we (westerlings) would not pick up half of the meaning of things, because we don't know enough about Russian culture. So I am very curious what will happen when Pathologic 2 will have been adjusted to us. Maybe it'll be the greatest game ever. But maybe all the "magic" is lost. I'll see. Mmmm! Not much to go on gameplaywise, but maybe the focus on staying discreet means there'll be stealth-elements? I just finished Titanfall 2 this afternoon, and I noticed there was a "Special Thanks" to the Respawn Star Wars Team, so they have been working on that since at least 2016. I'm gueesing it'll be bombastic, action-packed and won't outstay its welcome, while running buttery smooth if Titanfall 2 is anything to go by. And I've got no problem with them nicking Titanfall's wall-running mechanics.